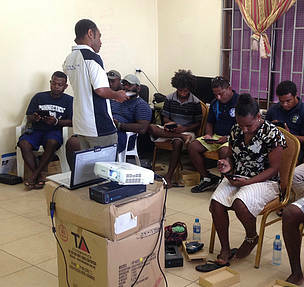 WWF funds electronic reporting training for tuna fisheries observers in the Solomon Islands, and is well on its way to achieving its goal of training 100 per cent of registered observers in this more efficient approach. Over May 7−11 and 14−18, a total of 26 observers on tuna fishing vessels participated in two workshops on the use of new technology to move to electronic reporting of fisheries data and information. Electronic reporting (e-reporting) allows observers to enter and send fisheries data in near real-time back to the Ministry of Fisheries and Marine Resources (MFMR) database (FIMS – Fisheries Information Management System) over satellite. With data sent in near real-time, fisheries agencies are able to make operational decisions faster. WWF funded the workshops, which were facilitated by the MFMR and a regional trainer from iFIMS (integrated Fisheries Information Management System). In the training, participants learned how to use hand-held tablets to enter e-log sheets and observer data, and send it to an electronic database via satellite. The Solomon Islands, through WWF, is aiming to train 100 per cent of its 101 registered observers in e-reporting technology, and is now well on the way toward that goal with 85 per cent of observers participating in training to date. 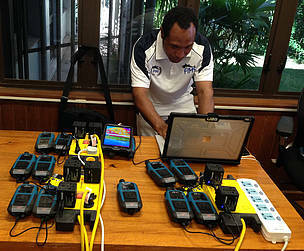 Observers have now been provided with their own tablets and satellite transmitters to start sending fisheries information electronically on their next jobs at sea. 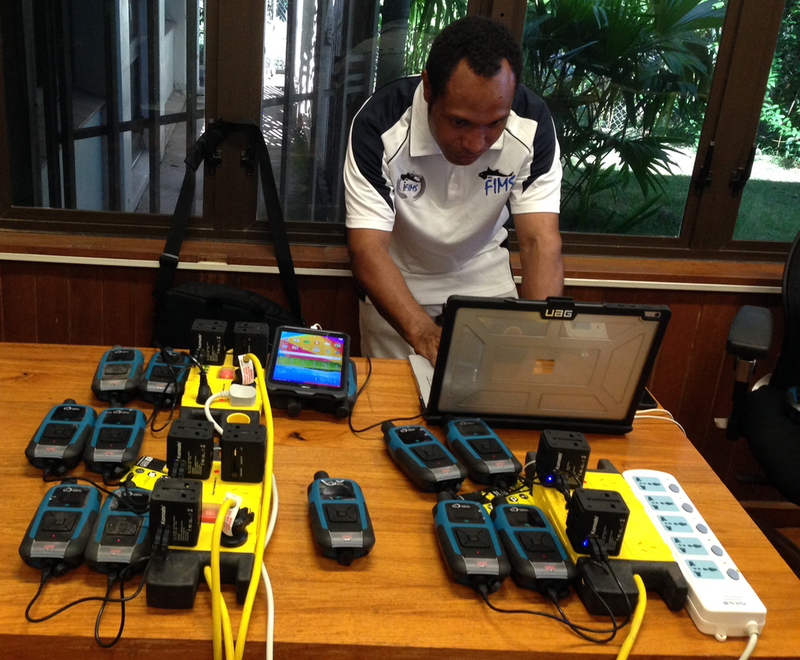 The MFMR, in partnership with the Pacific Community (SPC), contracted Derrick Tagosia as the e-reporting and e-monitoring coordinator in April 2016 to manage the move to electronic technology systems in Solomon Islands. This post is now supported by The Nature Conservancy (TNC) until June 2019. Tuna remains the biggest fisheries in the Solomon Islands. The overall catch in the Solomon Islands Exclusive Economic Zone for 2016 was about 116,650.69 metric tonnes. This was comprised mainly of skipjack tuna at about 61 per cent, 34 per cent yellowfin, 2 per cent bigeye, 2 per cent albacore, and 1 per cent of other species. With Papua New Guinea also making the move to e-reporting of fisheries data, Coral Triangle countries are leading the way for other Pacific countries. It is hoped that the ease of implementation of these new technologies in Coral Triangle Initiative (CTI) countries can provide an example of how it can be implemented in the rest of the Pacific. Herman Kisokau from iFIMS setting up the satellite transmitters for the training. Observers being trained on their new tablets.